Our monthly slot which shows what we’ve had our eye on in the Tangerine Content Studio. Online publishing has become a bit more interesting and is showing glimpses of the multisensory beast we always knew it could be. The rise in purely video based content is still too crude for most of us but this excellent Bloomberg article on Snapchat (among other things) had the perfect blend of storytelling, insight and fun to keep us locked in for 10 minutes. Like everyone else, we are inundated with ‘content’. In the Content Team we ignore most of it, naturally, and engage with and enjoy a percentage of it too. We also get quite good at spotting stuff that makes us think ‘hmmm, wish we’d done that’. That isn’t necessarily the mega budget stuff, but the smaller, considered bits and bobs that shine like diamonds in the rough. This little video from Visit Scotland is on Twitter (there’s a bigger library on the YouTube channel) but it is beautifully shot and edited, has tons of humility and oozes provenance. The campaign was devised by Edinburgh agency The Union. Euro 2016 is round the corner and there is lots of excitement about the release of the new football kits. The England mish-mash has provoked a love/hate reaction, while generally, as is the trend, minimal designs from brands more interested in driving their own identity than that of the nations they represent, has meant a classy but vanilla collection of kits. 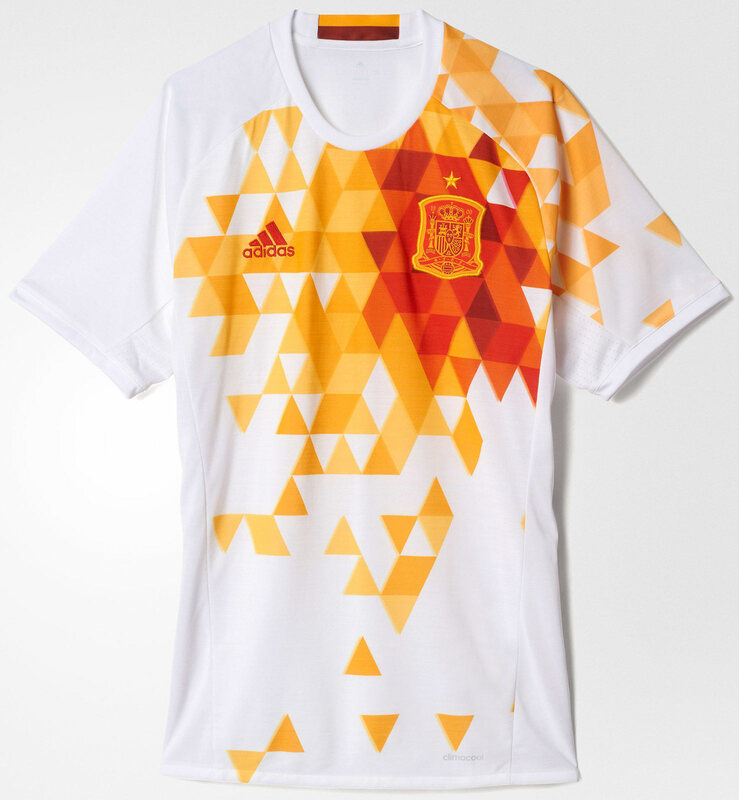 Commendable nods to Adidas’ post-modern Spain away effort, and the acid waves of Nike’s change kit for Turkey, but it is the German brand’s second shirt for the popular Belgium squad that is the pick of the bunch in France this summer. It was launched a while ago too, but wow, perfect. A one-day (well, one night) arts and culture festival is coming to our hometown of Manchester on the 12th May. The Manchester After Hours event is a creative collaboration between a broad range of venues, promoters and artists in the city and they have a lovely little website to match. A simple and effective use of a narrow colour palette and typefaces mixed with a really clean build means it works well on desktop and phone. See you there! Design by Studio DB and build by OH Digital. Developers and creatives are busy pushing the boundaries with VR at the moment, and we’re always on the lookout for work that reminds us that digital can be fun too. Well, this game from the excellent Always and Forever Studio in New York is a lot of fun. A neon musical world where hot dogs are drums and gummy bears are xylophones. It’s hard to explain so watch this video and keep an eye out at your local arcade!